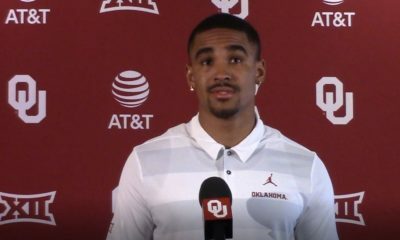 NORMAN — After he led Oklahoma to an easy touchdown as a first-time Sooners quarterback on Friday night, Jalen Hurts gathered some of his teammates around. Not for any Braveheart speech. Not for any admonishment. But for a selfie. 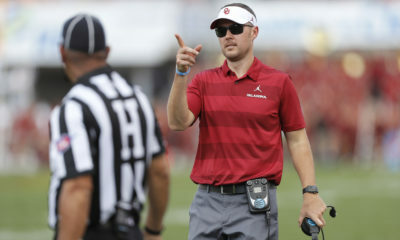 Hurts, the transfer from Alabama and the likely savior of Lincoln Riley’s third season as OU’s head coach, had fun as he sparkled under the lights in the Sooners’ annual spring game, completing 11-of-14 throws for 174 yards with one touchdown passing and one touchdown rushing. The starting job, Riley says, is still open. And for Hurts’ part, he said he’s going to stick to “the process” — that old Saban standby — and come to work every day and help the team win any way he can. 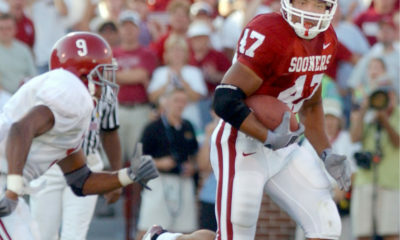 Hurts’ Red team Friday won by the largely inconsequential score of 35-14, though it certainly mattered to Hurts to make his other crimson debut (even as he wore a blue target jersey), and to Riley as he eventually announces his pick to replace Kyler Murray. 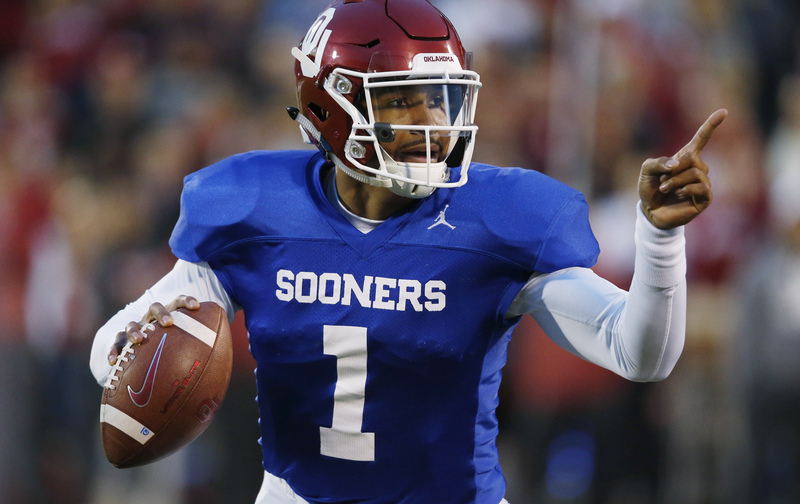 For the 50,228 fans in the seats and those watching on TV or on their computers, mobile devices or crystal balls, the reality set in early during the scrimmage: even with a rebuilt line, Oklahoma’s offense is going to be just fine in 2019 thanks to its new graduate transfer quarterback. Backup Tanner Mordecai connected on 11-of-24 throws with 142 yards (Lee Morris turned a short catch into a 58-yard TD) with an unsightly interception. Walk-on Tanner Schafer came in late and was 6-of-7 for 87 yards with two TDs. And five-star schoolboy Spencer Rattler, remember, arrives this summer. 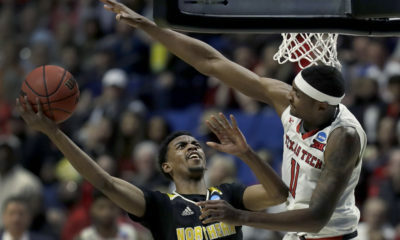 Mordecai, granted a chance to compete for the job with one of college football’s most accomplished quarterbacks, was disappointed in his play. Hurts had one built-in advantage over Mordecai: he had a better offensive line unit. OU needs to replace four starters up front, and returning center Creed Humphrey is recovering from an injury this spring. So of the four projected starters, Riley split them up, giving Hurts tackles Erik Swenson and Adrian Ealy and Mordecai guards Marquis Hayes and Tyrese Robinson. 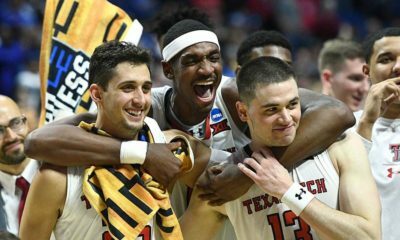 “It looked like the protection on Tanner’s squad probably wasn’t as strong,” Riley said. Mordecai hookup with Morris was encouraging, but then as Hurts responded with three successive touchdowns, Mordecai threw incomplete twice on a three-and-out drive, and then badly overthrew Charleston Rambo with a throw that was picked off by Justin Broiles. Still, Riley was impressed that Mordecai picked himself up. Hurts certainly seems to have won over his teammates — not with stats or good throws or explosive runs. He’s won them over with poise under duress and his natural leadership skills. Hurts said his growth at OU has all been part of — you guessed it — a process.